Most people wake up in the morning with breath that’s not so fresh, which is often caused by bacterium that multiplies in the mouth overnight. Bad breath, medically known as halitosis, is the presence of unsavoury-smelling odour that emits from the mouth cavity. 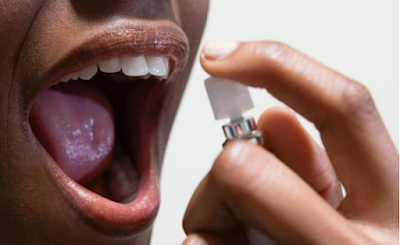 The breath changes once there’s a continuous flow of saliva especially after brushing in the morning, however, it becomes a serious matter when halitosis stays with one all day long. Bad breath is an embarrassing condition that’s a major turn-off when conversing with people. Persons with bad breath usually have communication/distance problems as people prefer to stay many inches away from them. There are several factors that could cause bad breath. Improper brushing of the teeth and tongue could also contribute to the presence of bacteria in the mouth. These bacteria, which stay put in the mouth, ultimately multiply and produce awful odours. This could be prevented by brushing the teeth at least twice daily. Don’t ignore the tongue while brushing and remember to floss at least twice a week. People experiencing stomach problems like ulcer can also have bad breath; this is as a result of the foul smell that engulfs the mouth when they burp and release gas. Proper adherence to prescribed drugs and usage of acid blockers may ease a sour or acidic stomach which would further prevent bad breath. Foods like onion, garlic, and some spices can cause bad breath. The best way to deal with bad breath is to brush immediately after ingesting such foods. Gaggling also removes the food particles that are hidden between the dentures. If this doesn’t help, it is advisable that one reduces the intake of these foods . The aftertaste of tobacco is nasty and people find it unpleasant when they perceive it. Smoking further causes gum disease which also contributes to bad smell. The best way to get rid of this is by quitting while other options are brushing, flossing, drinking plenty of water, or chewing sugar-free gum. The mouth tends to emit bad smell if it is left dry for too long. This could be caused by either the absence of saliva in the mouth, presence of bacteria and/or excessive consumption of caffeine. Keep your mouth well-hydrated to neutralise the bad breath, and constantly take water or chew sugar-free gum.